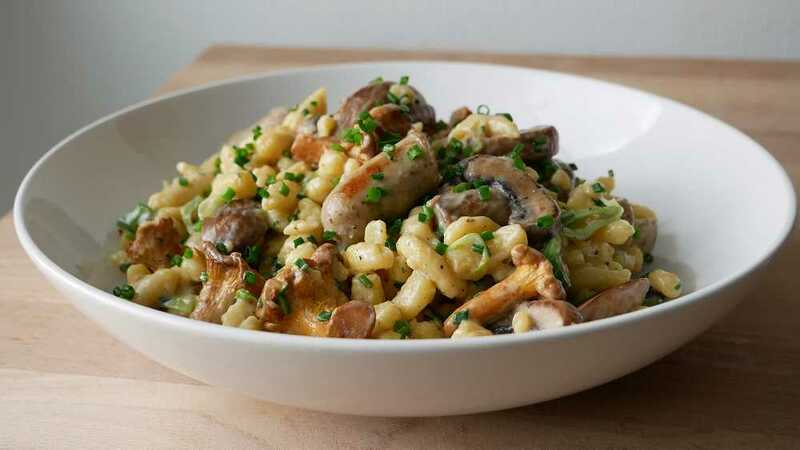 Today I’ll show you a quick & easy recipe for Spätzle stir-fry with mushrooms, chanterelles & Nuremberger sausages. 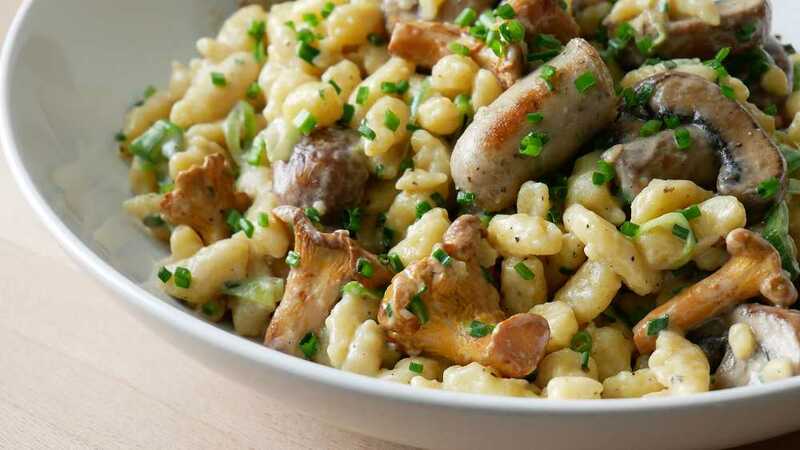 For the spaetzle stir-fry we use spaetzle from the cooling shelf, but it also works well with spaetzle or other noodles from the day before. Clean mushrooms & cut into slices. Clean chanterelles & possibly halve depending on their size. Halve Nuremberger sausages. Cut scallions into fine rings. Finely chop chives. 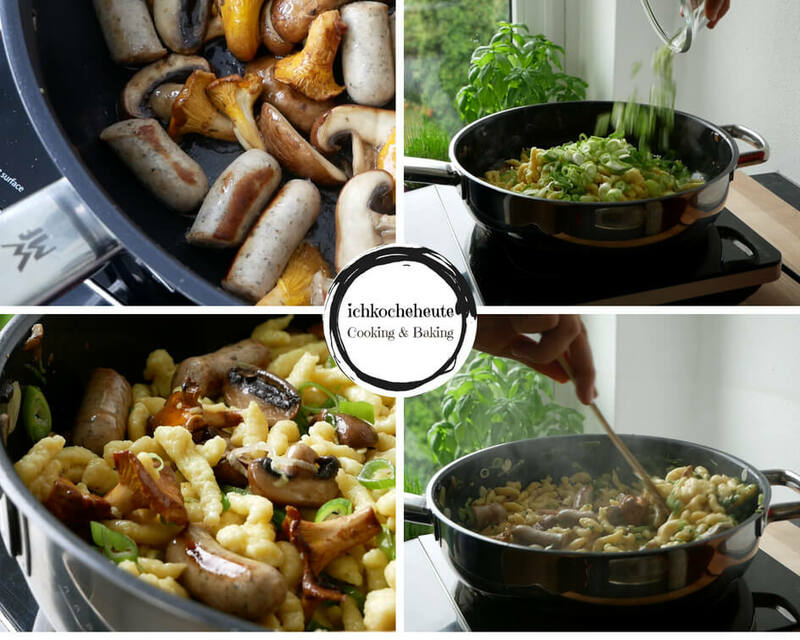 Heat up a large pan adding a dash oil & sear the mushrooms, chanterelles & sausages for about 2 – 3 minutes, stirring occasionally. Next, add spaetzle noodles & scallions & briefly fry over medium heat for about 1 – 2 minutes, stirring or tossing occasionally.